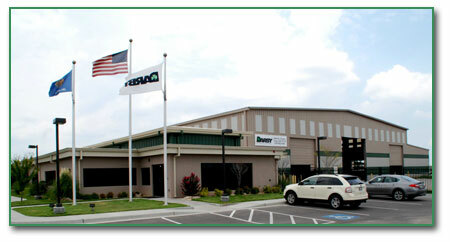 Darby Equipment is a leading manufacturer and distributor of pipeline equipment located in Tulsa, Oklahoma. The company manufactures 6 to 48-inch pipe bending equipment, pipe facing machines, line-up clamps, roller cradles, bending mandrels and other pipeline supplies. In addition to its Tulsa facility, the company maintains equipment at customer locations and leased locations in many states and can ship equipment and service personnel nearly anywhere in the world. A long-standing tradition of responsive customer service combined with exemplary manufacturing and engineering expertise has earned Darby Equipment a reputation as a preeminent equipment supplier for the pipeline industry worldwide. 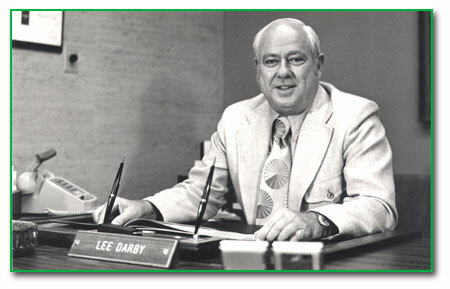 Drawing on a wealth of knowledge from years of work in the pipeline industry, company founder Lee Darby along with wife Lucile opened the doors of Darby Equipment Company in 1982 and began providing the finest equipment and service to the pipeline construction industry. In 1990 Darby began manufacturing their own products by incorporating the best in existing equipment features and adding proprietary engineering innovations of their own to create a product line of reliable, efficient and hard working pipeline construction equipment. Lee Darby worked at Darby Equipment until his death in 1994. Lee will be remembered as one who approached work and play with the same joyous spirit. He instilled enduring principles of integrity, hard work and professionalism into the corporate culture of Darby. As testament to the family's continued dedication to the company, Lee's sons Ed and Bob have been guiding the company for over 15 years. Bob's sons Bobby and Ryan also serve on the management team overseeing sales and operations, respectively. Watch our video to learn more about Darby Equipment Company. Darby Equipment Company believes its success is directly attributable to its employees and its partnerships with customers, vendors and alliance partners. The company further believes that quality and safety provide the foundation for its operations while a dedicated focus on continuous improvement will allow the company to grow profitably and continue to provide the highest quality equipment in the industry. "At Darby Equipment Company, we are dedicated to developing our people, building partnerships and ensuring the highest quality of equipment and service for our customers in an environment focused on continuous improvement." We will continue our endeavor to live up to those standards and use our mission statement to map the future of the company for many years to come.